It seems impossible to consider the holiday season complete without my annual trek downtown for a much-anticipated viewing of The Nutcracker ballet at Memorial Auditorium. The Carolina Ballet’s rendition of the classic story has become a tradition that began when I was a small child and has proven no less enchanting over the years. As a child, my mom would dress me up in my Christmas dress and take me downtown to obsess over the glittering tutus and pink pointe shoes whirling across the stage before me. The night usually ended prematurely with me having to be dragged out through the side exit because of my refusal to stop showcasing my own dance moves in the middle of the aisle. I imagine it may have been extremely embarrassing and inappropriate, but then again I was three and pretty cute. Even to this day, from the first striking note of Tchaikovksy, I am overwhelmed by a certain dreamy feeling and I honestly have to fight the urge to leap to my feet. 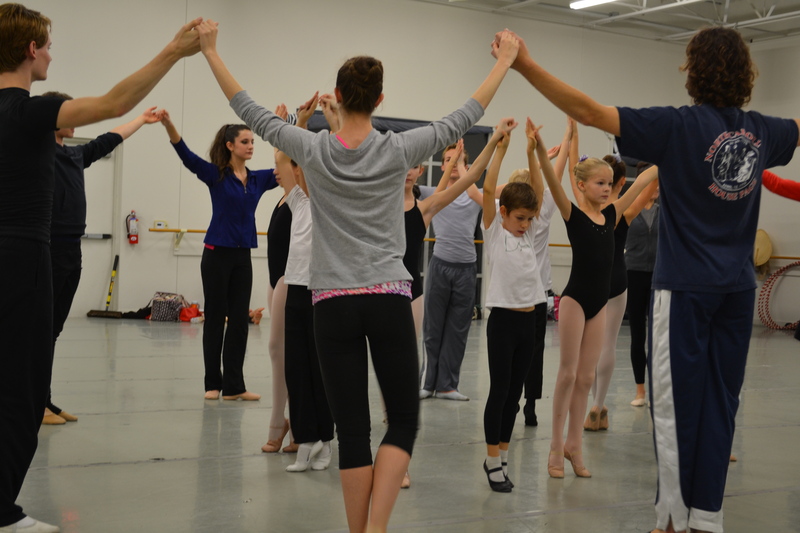 The Carolina Ballet is a world-class professional dance company that has been based in Raleigh since its launch in 1998. Under the direction of Artistic Director and CEO Robert Weiss, the company has become an important cultural asset to Raleigh and North Carolina. Throughout the year, the Carolina Ballet presents classic ballets by legendary masters and every December thrills audiences with The Nutcracker. The show has become a staple of sorts for holiday entertainment in the area and a must-see for children and adults alike. 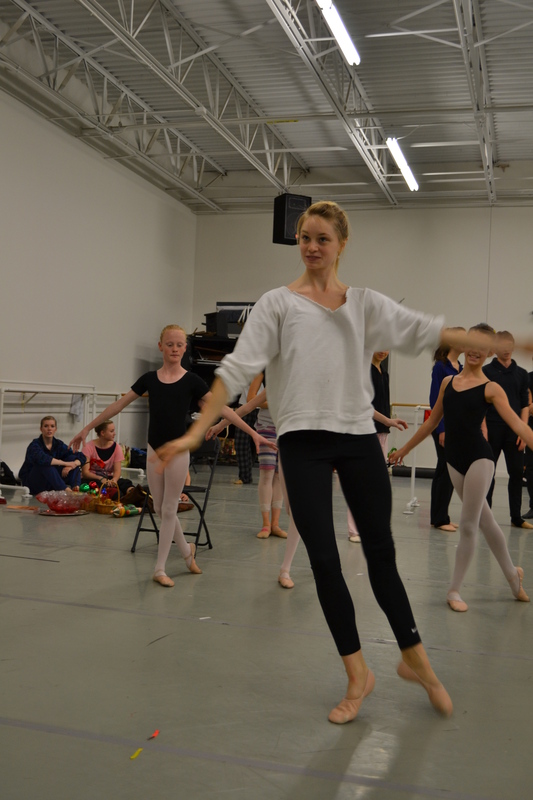 Last week I was lucky enough to gain access to the Carolina Ballet’s practice studio for an exclusive sneak peak of The Nutcracker. The day I attended happened to be the first day of rehearsal when the children dancers were practicing alongside the regular company. The children were handpicked from more than 200 who auditioned, and each is incredibly talented at his or her young age. 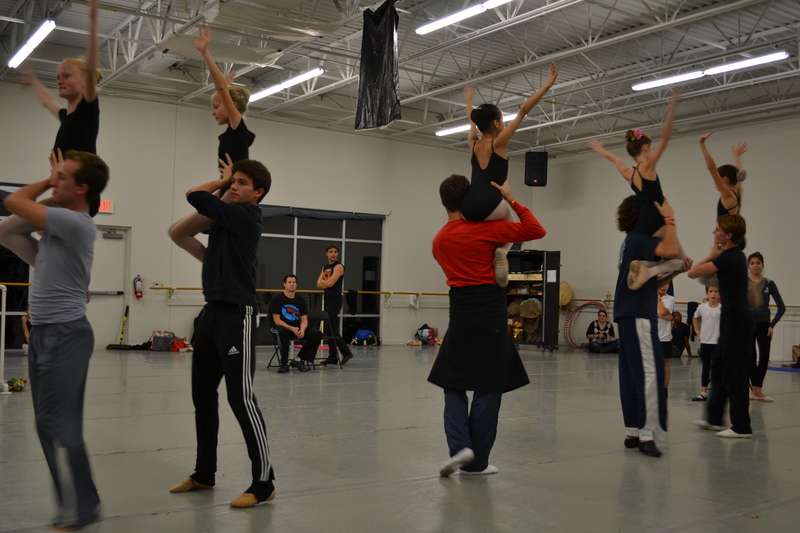 Director Weiss sat at the front of studio directing the dancers and focusing attention on the younger crew in particular. The energy in the studio was lively and positive, and you could feel the urgency with which the practice commenced. The premiere performance at Memorial Auditorium was only a few days away. I felt like a child again watching the dancers twist and twirl in the familiar scene. I realized I am actually a total nerd, as I predicted nearly every movement and musical dispatch. The party scene was the one being honed at that particular rehearsal, and I was wowed, as always, when an imaginary oversized gift box was rolled out to center stage and a life-sized toy soldier emerged to demonstrate some of the most outrageous high jumps ever witnessed. Performances of The Nutcracker began last weekend and will continue until after Christmas, with more performances offered than ever before and each accompanied by a live orchestra. This year’s The Nutcracker will include exciting additions first revealed in 2011, complete with striking new scenery, and wonderful illusions and grand-scale magic produced by top Las Vegas magician, Rick Thomas. 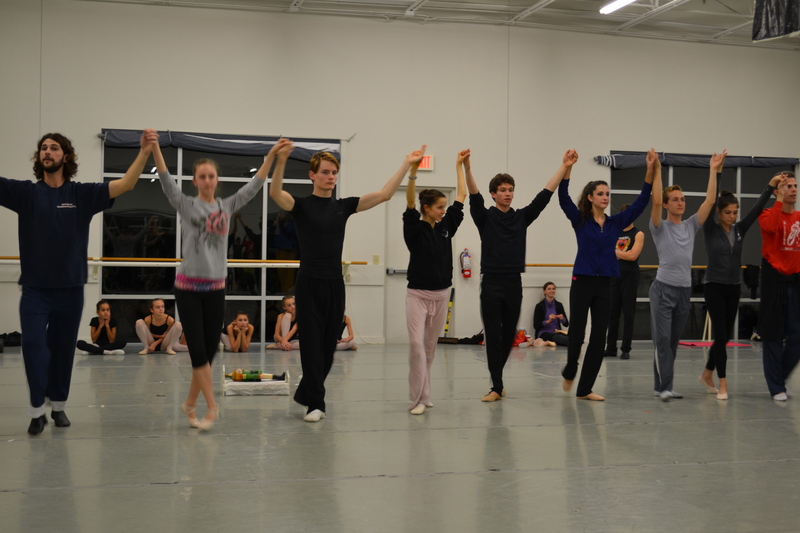 Check out the Carolina Ballet’s schedule here for a full list of performance dates and venues.